Ideas for bra ad concepts are as endless as Peter North's "product." There's no end to the way you can manipulate society's obsession with breasts into an ad campaign. While these concepts aren't rocket science, most good concepts aren't. They work because they are simple. 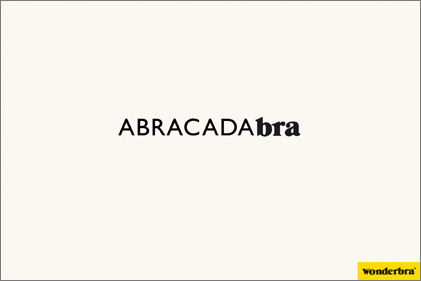 And these ads for Wonderbra are very simple. One is playful. The other pokes fun at the relationship between breasts and shirt buttons. What more can really be said about a bra that hasn't a;ready been said? In social sciences it's always so the simplier the better.